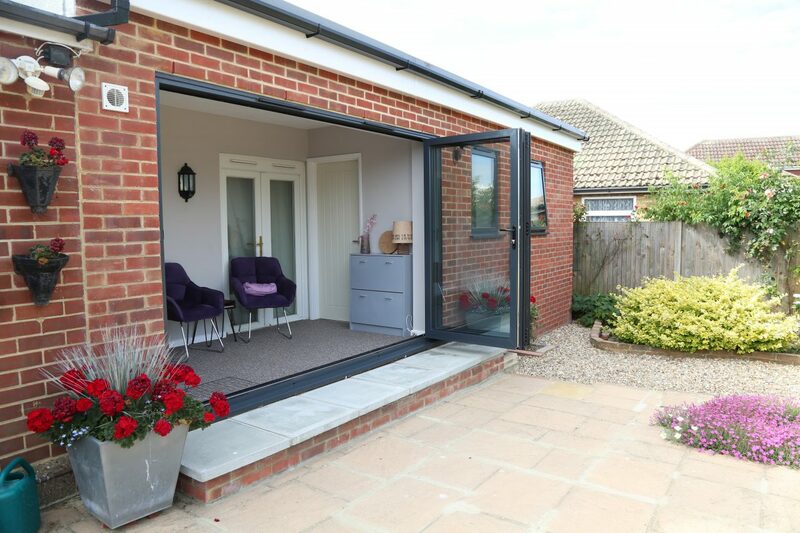 3 Panel Bifolding door opening to the right.. Ral 7016 Grey Anthracite accompanied with black furniture. How ever small or big a room is, a simple opening can change the dynamics of any area. 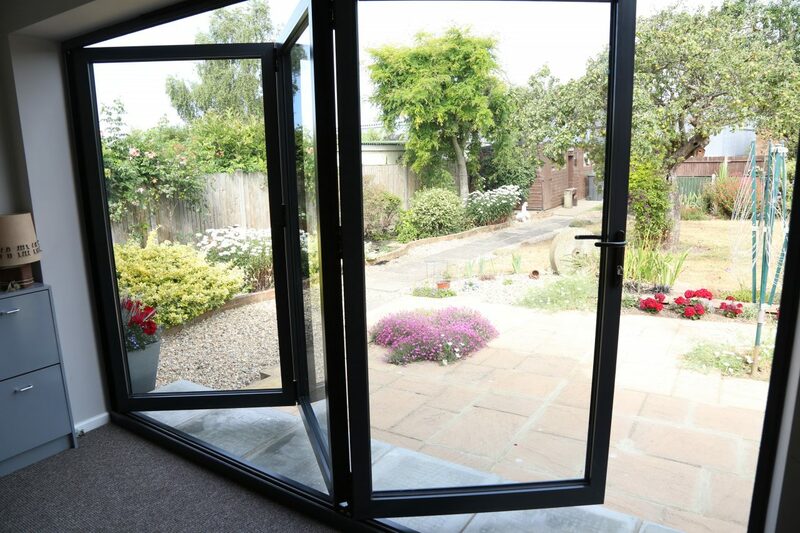 This 3 Panel bifolding door has allowed for natural light to flow straight in. 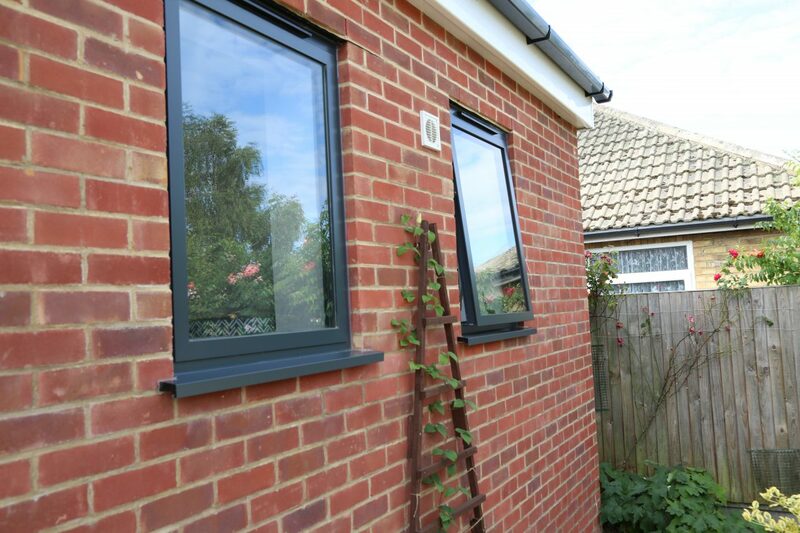 Accompanied by two further windows, this extension has been planned perfectly. 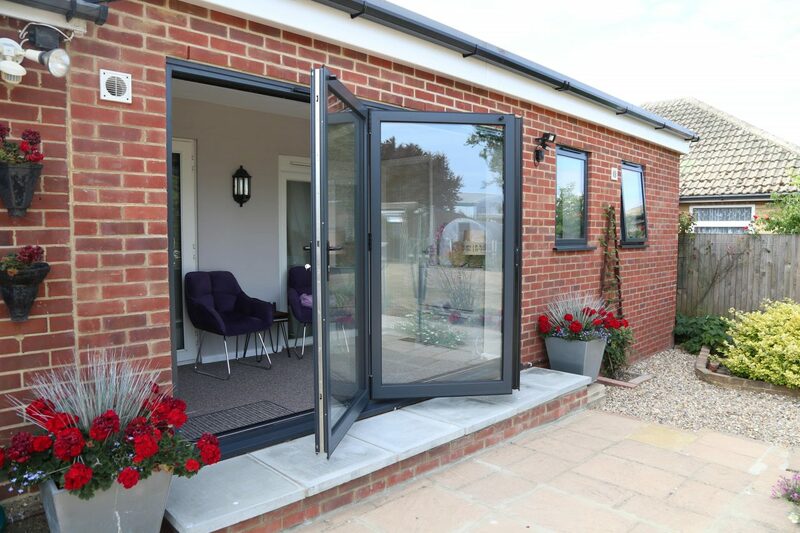 Ral 7016 Grey Anthracite 3 Panel Bifold accompanied with black furniture and trickle vents. Two top hung windows.